Here at Redbird Flight we have been manufacturing simulators for the flight training industry for nearly 10 years. With the growth of our K-12 education market, we wanted to provide an opportunity for the education industry to learn more about us, why we care about STEM education, and how flight simulation can enhance any classroom. We thought, what better way to do that than to create and demonstrate the “Classroom of the Future” during the World’s Greatest Aviation Celebration? 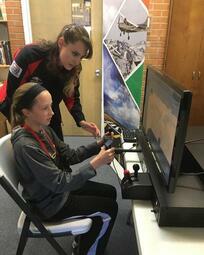 What we have discovered is that educators that are not pilots (or aviation enthusiasts) ask us, “How can I use a Redbird simulator to teach science?”, and we love being able to explain that aviation is STEM! Questions like this sparked the idea of the Redbird STEM Lab at EAA AirVenture. Beyond the fun experience students will have flying the Jay Velocities, our mission is to create a model classroom for educators to see, be inspired by, easily duplicate, and implement within their own school. We want to show how a school district can integrate a flight simulator into already existing STEM courses or create an aviation program at any grade level. And even though our STEM Lab at AirVenture is for 5th - 12th grade students, these concepts can be taught in elementary school. We’ve teamed up with Greg Roark who is a passionate aviation STEM educator and has a program that can be adopted by any school district. As the CEO of the Aspen Aerospace Alliance, Greg’s magnetic personality is an incredible addition to the Redbird STEM Lab. The students will be learning, laughing, and absorbing new information from Greg in ways that other educators will want to replicate. Which will be easy to do – we will take Greg’s lessons and share them with teachers auditing the classes at the show or watching live online. The Redbird STEM Lab will create an exciting energy throughout the week and we hope you will sign up for a different type of summer school! 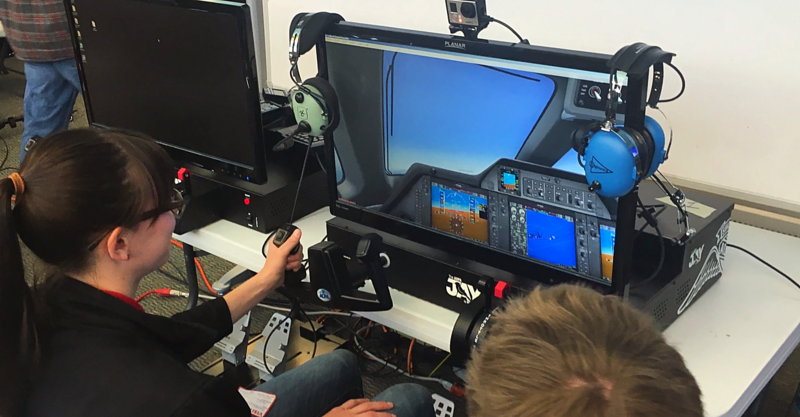 As we see aviation-themed STEM classes and programs across the country flourish, we know that flight simulation can enhance these programs and their students’ desire to learn. Redbird is committed to engaging students with flight simulation and watching them grow into the next generation of engineers, pilots, coders, and mechanics. Join us!